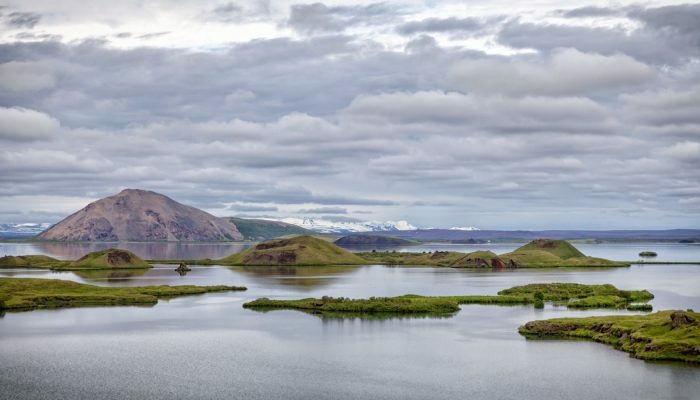 This photograph was taken at the campsite near lake Mỳvatn during a field trip to Iceland. Every year a group of students from Wageningen University travels from the Netherlands to Iceland for a weeklong excursion as part of a course on catchment hydrology. The aim of the trip is to provide students with real life examples of the processes they learned during their lectures. After a rainy morning that day, tents and equipment were packed away as quickly as possible in order to escape the wetness. The drive took the group from the campsite in Höfn, at the foot of the Vatnajökull glacier in southeastern Iceland, along the coastal highway up north towards Myvatn. Iceland is famous for its raw and beautiful nature, with waterfalls seemingly around every corner and the imposing presence of the glaciers and volcanos in the distance. Upon our arrival at the campsite in the evening, people begrudgingly noticed that the tents were still wet from the morning rain. The campsite was situated at the bottom of a formidable hill, which provided stunning views over the lake and landscape. Not wanting to sleep in a damp tent, a few students picked up their tents, dismantled them, went up the hill and let the evening breeze do the rest, all amid the backdrop of a stunning sunset. The desire for dry covers even outweighed the very real danger of being eaten alive by masses of midges, a known pest and hazard in these parts. When camping there is always things that can go wrong. But for places like Iceland it is the only way to truly appreciate and experience the country’s stunning beauty and wilderness. Gazing up at the northern lights from your sleeping bag is a once-in-a-lifetime experience. While waking up in the middle of the night and having to put on boots and jacket to run to the bathroom is vexing, you might be rewarded with views of the top of the glacier that has been shrouded in clouds all day, making it seem like Zeus himself is taking a peek down from Mount Olympus to see what is going on. 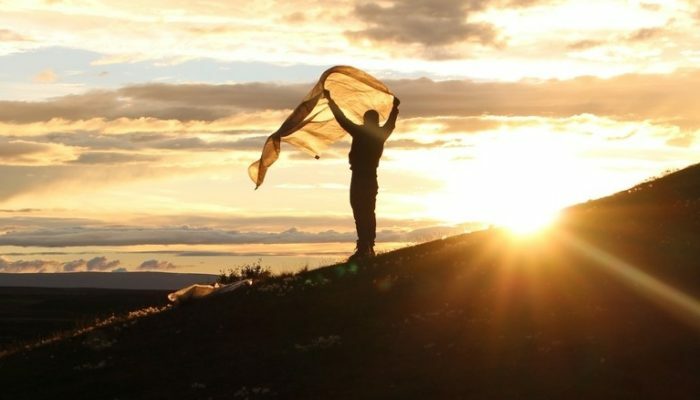 Iceland has to be experienced, not from a cosy hotel bed, but from a tent put up in the evening and taken down the next day. As Albert Einstein once said: “Look deep into nature, and then you will understand everything better”. Even if that means hiking up a hill and holding your tent up into the wind to dry.